Fish and chips are a comforting meal to many people. It comes in all shapes and sizes, deep fried or baked, gluten-free or coated in beer batter. 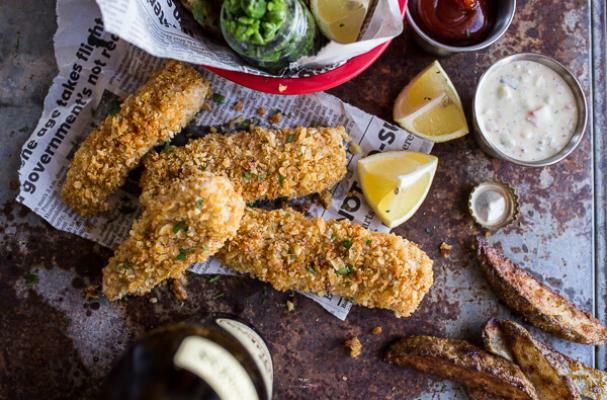 These fish and chip recipes affirm not only this dish's versatility but also its deliciousness. Fish sticks have gotten a bad rap over the last decade or two. 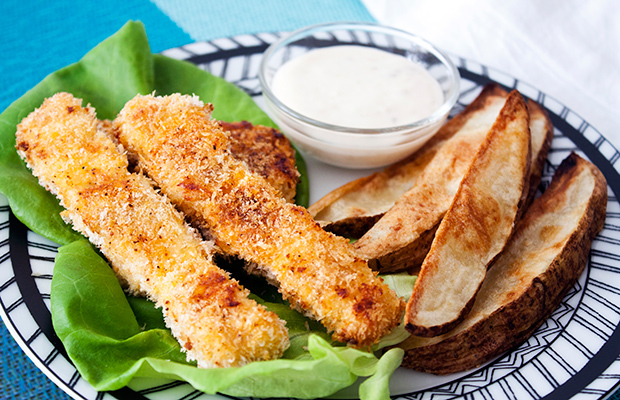 This recipe proves that fish sticks can be delicious when prepared correctly. First and foremost, not all fish sticks have to be fried. In fact, this version is baked so it has fewer calories compared to its deep fried cousins. They are still crisp and delicious especially when accompanied with homemade tartar sauce. You can never go wrong with English style fish and chips. Cod is dunked in a light and airy beer batter before it is fried to a golden crisp. It is served on newspaper complete with mushy peas and perfect French fries. The only thing that can make this meal even better is an ice cold beer. Polenta fish and chips is a spin on the classic English recipe. Polenta, also known as cornmeal, has a sandy texture with an unassuming flavor. This recipe is great because it really allows the fish to shine. Often times, the batter can become overwhelming and the fish gets lost. Also, these fish are pan fried so they are a bit on the lighter side. Gluten-free oven baked fish and chips are not healthy but are a great recipe for people who practice a wheat free diet. The crust is made from gluten-free Bisquick and additional seasonings such as Old Bay, garlic powder, and paprika. 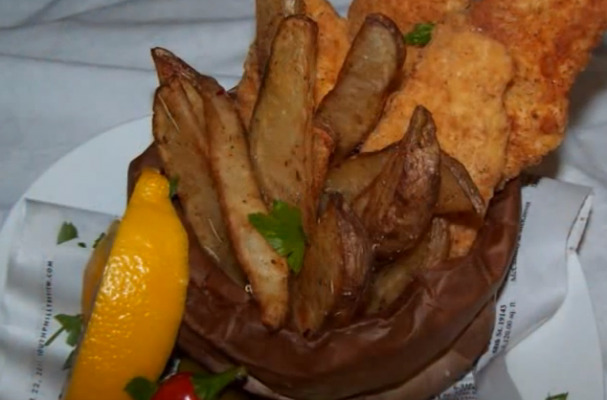 You can serve these fish and chips as you would the classic, with malt vinegar and tartar sauce. Potato chip crusted fish and chips have incredible flavor and crunch. The crisp coating is made from a combination of crushed potato chips and crushed corn flake cereal. The irresistible crunch mixed with the salty flavored chips is the perfect compliment to the mild soft fleshed fish hiding inside. This recipe skips tartar sauce and goes for a homemade remoulade instead.